As temperatures drop this season, you're going to want to pile on the blankets. Thankfully, Macy's is making it easy to make your bed at a fraction of the cost. 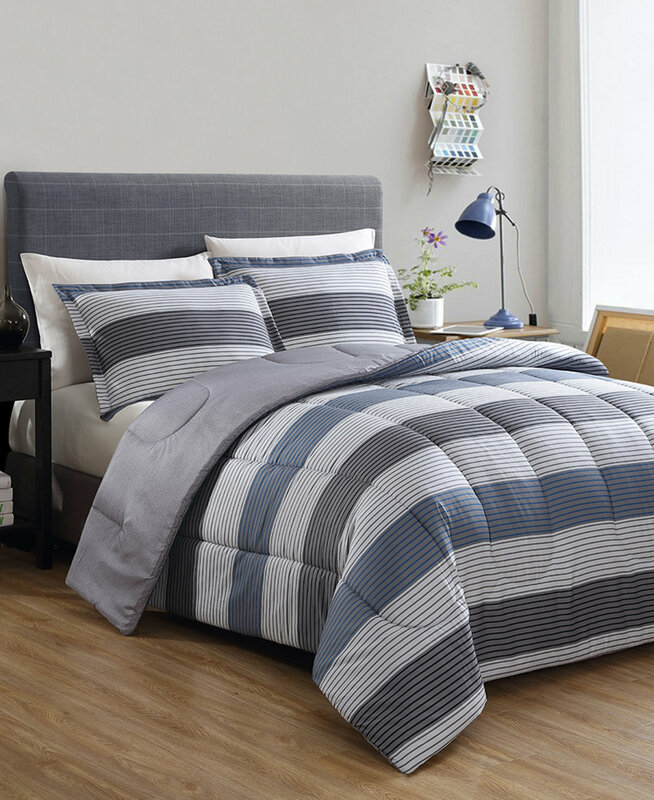 Select 3-piece comforter sets are available for less than $20 right now, and that's one incredible deal. Just when you thought this deal couldn't get any better, you find out that the comforter sets are also reversible, so when the season changes, you won't have to update your bedroom, you'll just have to flip your comforter and pillow shams over to the other side. It's almost like getting two bed sets for just 20 bucks. We found these deals online, so you'll want to call your local Macy's to find out what kind of deals they're offering on bedding sets there. A majority of the 3-piece sets contain two reversible pillow shams and a reversible comforter. The $19.99 or less options have brightly-colored patterns or floral prints that couldn't be cuter. Some options aren't reversible, so be sure to read the product description closely before making your purchase. These sets typically retail for $80, so you're saving more than $60 when you shop them while the promo lasts. You can also find select $80 options for as low as $17.58 thanks to an extra 20 percent off deal going on at Macy's at the moment, too. Code STYLE will unlock the savings on certain items through Oct. 9 . Here, you can see what both sides of this reversible comforter have to offer. One is patterned and the other is a solid color, but both options are great for creating a cool-toned, relaxing space in your bedroom. You can snag this set for $19.99 . This twin set isn't reversible , but it does offer a pattern that's perfect—no matter what time of the year it is. And best of all—it's just $19.99 right now. This reversible set offers the same color scheme and two interesting designs. It'll be great for your bedroom and be even better for your wallet at just $19.99 . Since this is a closeout deal—you can score this striped set for even cheaper than the rest. It's on sale for just $17.58 while this promo lasts. Not only are these bedding deals incredible, but there's also the fact that when you shop online from Macy's, you can score free shipping with a $49 purchase to consider. So, if you're convinced to shop from Macy's right about now—we can't say we blame you.